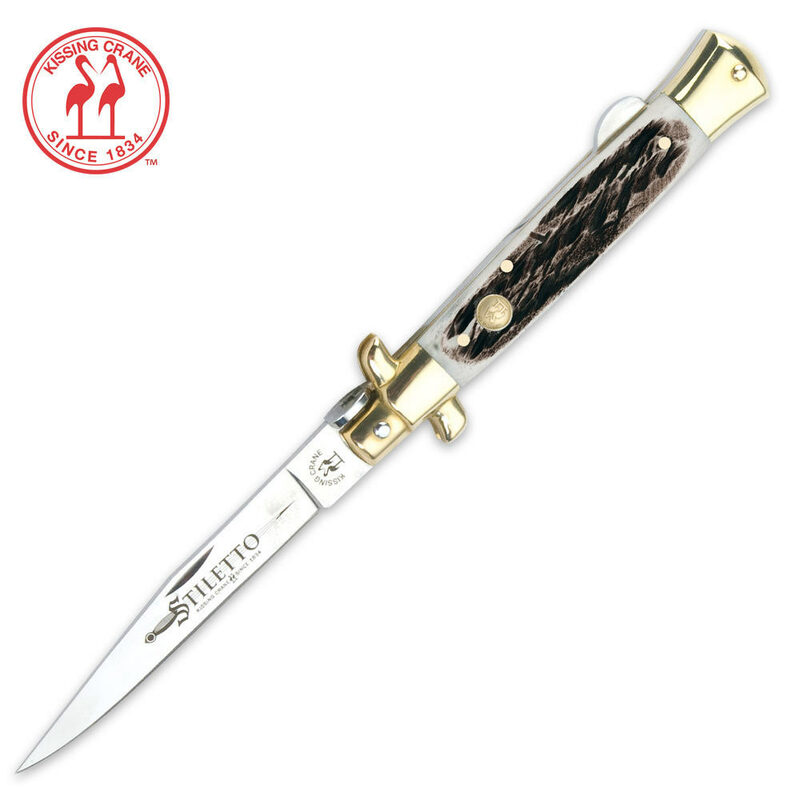 Excellent quality Stiletto knife featuring a classy burnt stag bone handle and brass pins, bolsters and a brass shield on the handle. 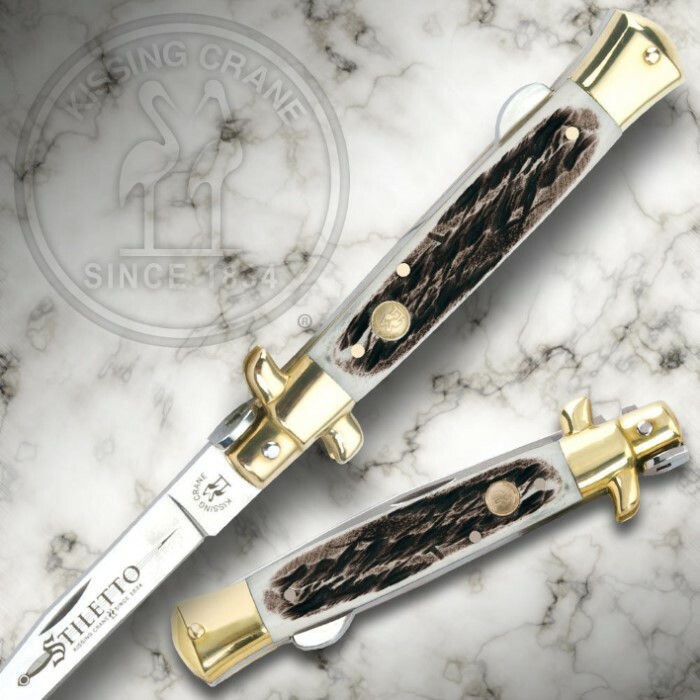 This is beautiful knife I show it to my friends.I have another that I carry some times that is not as fancy. I recently purchased this knife for my collection. What a nice addition. All my stilettos are kissing crane. I really like the style. It's a solid blade and beautiful as well ! Thanks again BUDK !! Great item; the Quality is staggering. If ever there were a need to buy a blade that comes so sharp, then I would most likely buy another one of these. The handle is very neat looking also. Awesome knife for the money. I like it so much that I'm going to order each of the handle colors for my collection. Pretty sharp as it comes, but it only took about two minutes to put a razor sharp edge on the blade. Locks open so tightly that you'd swear it was a fixed blade. Did I mention it's beautiful to look at also. Just got it today and for the most part its gorgeous.